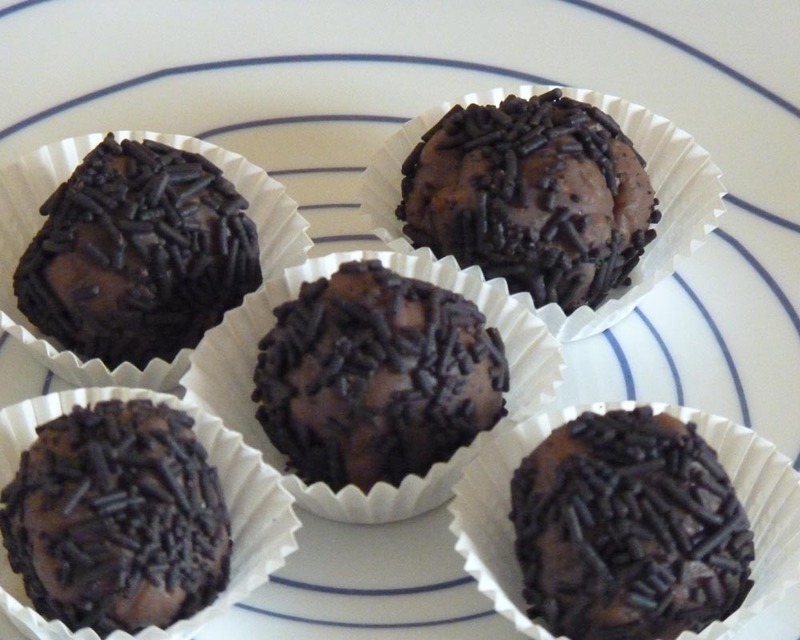 Brigadeiros are traditionally made from condensed milk, sweetened cocoa powder and butter. Cooked to a fudge consistency, rolled into little balls and coated in chocolate granules (sprinklers). Place cocoa powder, condensed milk and butter in heavy saucepan. Heat the mixture slowly on low heat stirring constantly until resembles a fudge like consistency, but not too stiff. If you cook the mixture too long the it becomes too hard and is chewy. Remove from saucepan, put into a dish and allow to cool completely. Pour chocolate 100s and 1000s onto a plate. Grease your hands with butter or margarine before rolling the chocolate mixture in to little balls as this prevents it sticking to your hands as you form into balls. Brigadeiros are an extremely popular treat at children’s birthday parties in Brazil. However, they are also a perfect treat for Piglet with a nice cup of coffee. Hmmmm… delicious and so moreish! I’m also going to try this recipe by http://southamericanfood.about.com/od/desserts/r/brigadeiros.htm which includes salt and vanilla. Fernanda’s Mum adds an extra dimension to Brigadeiros by inserting a cherry inside (a cherry in syrup). “If you buy candied cherries (with all that sugar involving them) put them on water for a while to remove the excess sugar and the inside the brigadeiro”. I like the name “chocolate cannonballs” but perhaps not PC for children. In the 1940s while Brazil was at war there was a shortage of imported sweets. Cocoa powder had just been introduced to Brazil by Nestlé, and this, teamed with condensed milk, made a delicious chocolate fudge truffle sweet. This sweet proved extremely popular and a favorite with Eduardo Gomes. 1945 was the first year women could vote in the Presidential elections and Eduardo Gomes was one of the candidates. The women who supported him sold the chocolate fudge truffle sweet to raise money for the campaign. His campaign slogan “Vote no brigadeiro, que é bonito e é solteiro” (Vote for the brigadier, who’s good-looking and single). Although he was not elected president, Brazil now had a name for this popular sweet “Brigadeiros”. I’d like to be buried with half a dozen of these in each hand. That way I’d be welcome wherever I ended up. Oh great! Now I’m craving chocolate…. I spotted these in a Portuguese recipe book (in Portuguese) and I was really surprised to discover they were actually a Brazilian sweet. These look delicious and remind me of rumballs, which my mom made growing up. I think they are similar but without the rum? ,,,,hmmmmm I think I like the idea of adding rum! How can you go wrong with chocolate and butter? 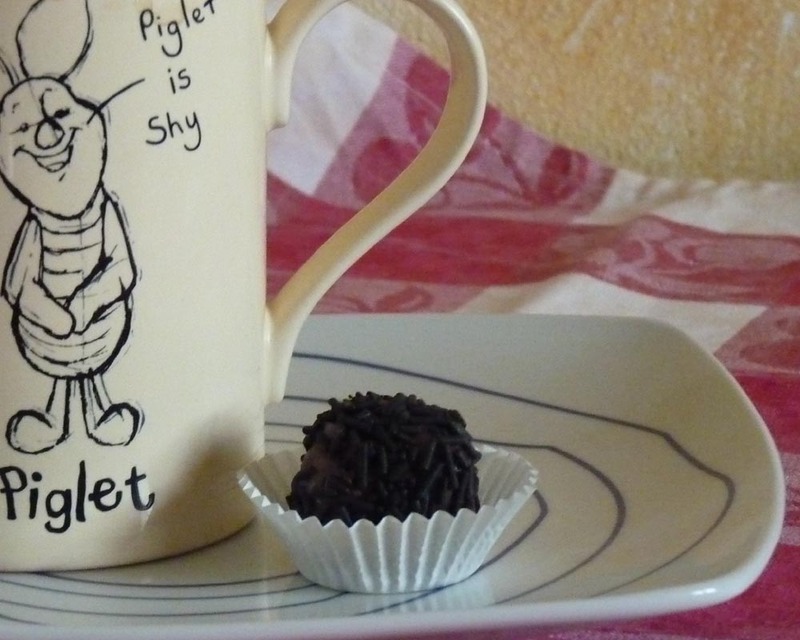 I love the photo of the truffle with your Piglet mug. Love that mug, Carole—did you make it, or design it? And why are such sweets not so good for the arteries? Mother nature has such a sense of humour. I like that one lone Brigadeiro next to your cup. Heh. 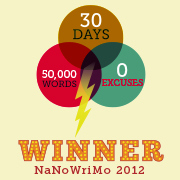 I did it, I did it! (Not bake these luscious sweets; I’ll email the recipe to my chef/baker spouse to see if they tempt him as a chocoholic.) No, I kept trying various email addresses and passwords until finally one gravatar seemed to work. Ha! Couldn’t let WordPress win this time. Now I’ll go for two! Hey your on a roll down Jan!. Be careful though, WP have set a new challenge…you need to remember to unsubscribe to comments if you DONT want to receive them it WAS subscribe to them if you did. And those brigadeiros look brigadelicious! Hi Nancy, if Tigger is a Walt Disney character? you can buy them from the WD shops…I’ve seen them in UK or was it in Portugal. My mother does brigadeiros with a cherry inside (a cherry in syrup), it’s fantastic. If you buy candied cherries (with all that sugar involving them) put them on water for a while to remove the excess sugar and the inside the brigadeiro. Regarding the current name yes, it seems to be linked to Brigadeiro Eduardo Gomes campaigns, but the “cake” already existed before as “negrinho” and it seems that in some areas of Brasil it’s still called this way. Thanks so much for the tip re candied cherries. I love that idea and will give it a try! Thanks also for the update re negrinho, I wondered what they were called before. Oh… you just got me craving (you can guess by my constant replies to your choc posts that I’m completely chocaholic)! My receipe is a bit different and probably takes much longer, as I first boil the condensed milk in the sealed can, let it cool, then re-boil the milk with cocoa and let it cool again to then prepare the balls (oil on hands usually, as it has less taste than butter). It takes me almost a full day for the whole thing. How long do you cook your mix for? I usually keep some boiled condensed milk cans at home just-in-case, as they are also good to make “Baba de Camelo” (camel’s drool)! I cooked the mixture slowly. It was more the texture I was looking at. When I eventually decided it was cooked, it was at the point when I stirred the mixture I could see the bottom of the saucepan, but I did not allow to get to hard. I never thought of oil…sounds better 🙂 Thanks for the tip! They look delicious! Here in the DR most sweets made with condensed milk, sugar and coconut. If you put a can of condensed milk in a pan of boiling water for two hours then open the can it is the most delicious toffee. I used it to make banoffee pie. Hi Linds, I am always wary of boiling unopened tins just in case they explode. Two hours of gas is a lot! Love banoffee pie….hmmmmm heaven. Not had for years. Yummm… These sound (and look) delicious! Chocolate is my favorite!! Hi Grandawn, chocolate is also my favourite and my downfall! Oh yum! Anything with condensed milk and chocolate can only be good. These are on my to-do list. Hi Steph, are you going to try them with the cherry inside? They look delicious to this chocoholic! I love the story behind the name. Hi Olivia and welcome :)I’ve yet to make them with the surprise inside :)You ought to try making them…they are soooo easy!